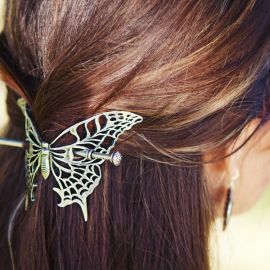 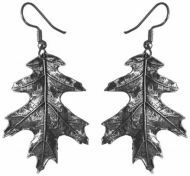 Size: 29mm x 40mm (1.15 x 1.55in) Oberon Design lead-free Britannia pewter earrings are hand cast. 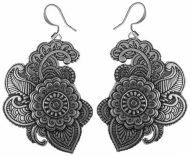 Size: 41mm x 41mm (1.61 x 1.61in) Oberon Design lead-free Britannia pewter earrings are hand cast. 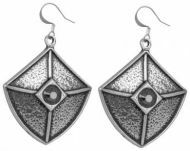 Size: 25mm x 25mm (1 x 1in) Oberon Design lead-free Britannia pewter earrings are hand cast. 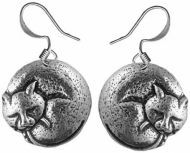 Size: 20mm x 20mm (0.79 x 0.79in) Oberon Design lead-free Britannia pewter earrings are hand cast.